In shorter marriages without children or much shared property to divide, divorce can be relatively straightforward. However, it doesn’t take much to for things to become knotted and complex in a hurry. And the longer you’re married, the more complicated things tend to get. Rick Jones, one of our founding partners, makes regular appearances on the Danny Bonaduce and Sarah Morning Show, where he answers family law questions from listeners. 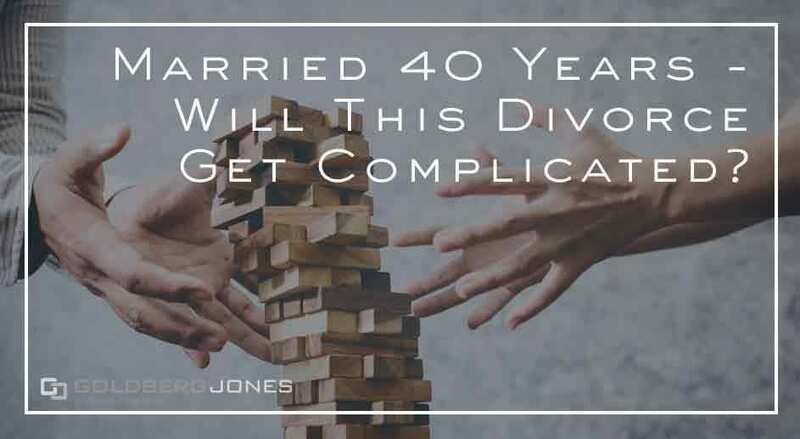 One recent caller is about to end a 40-year marriage and wants to know just how complicated his divorce might become and what to expect. Caller: “I’ve been married for over 40 years, and have a pension and all that kind of stuff. What’s the best way to go about this? I don’t want to mistreat my wife, but I don’t want to get screwed either. Rick: “There are two issues you’ve got. One is dividing up assets and liabilities. “The reality is, everything you have is likely to be community [property]. I’m going to say ‘likely’ because you always find exceptions in this world. what sort of money is coming each of your way when you divide the pension, things like that.